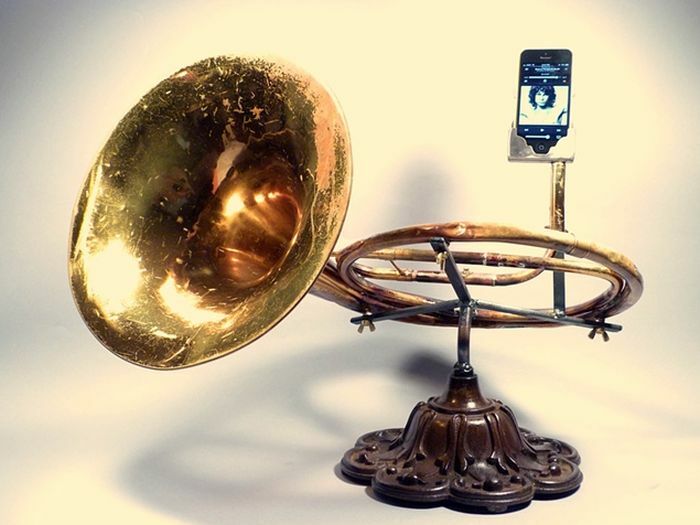 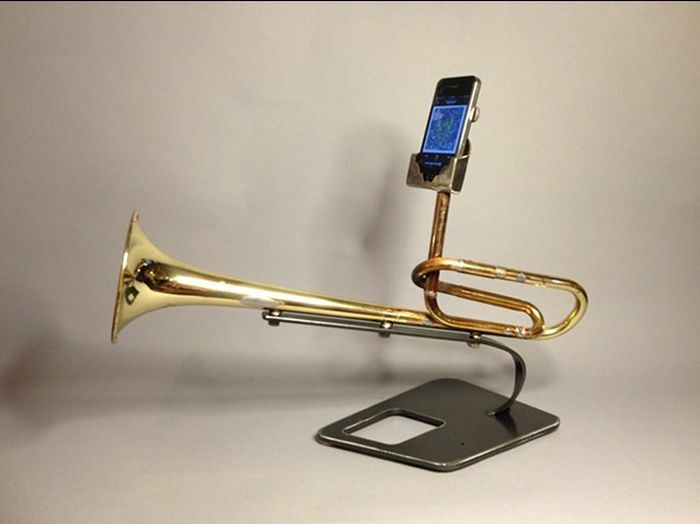 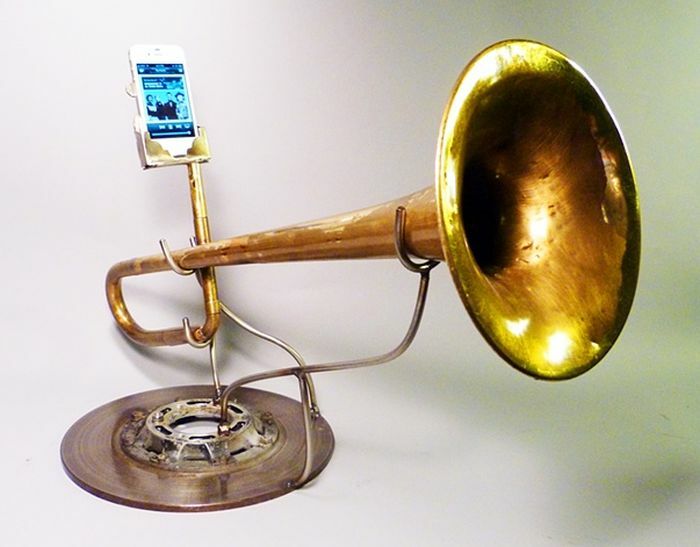 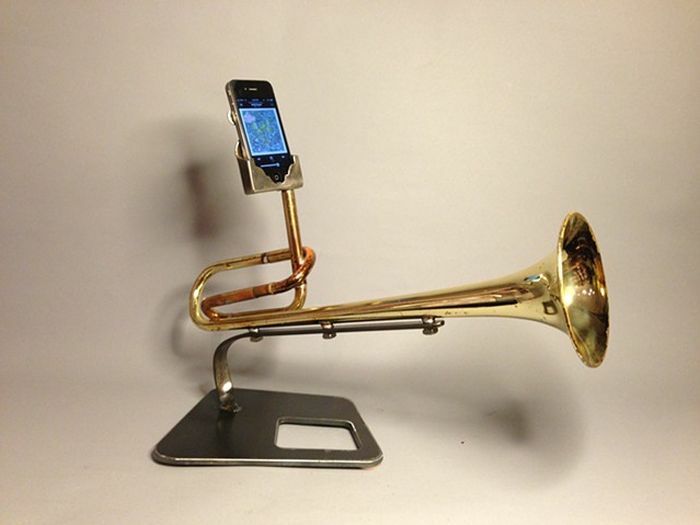 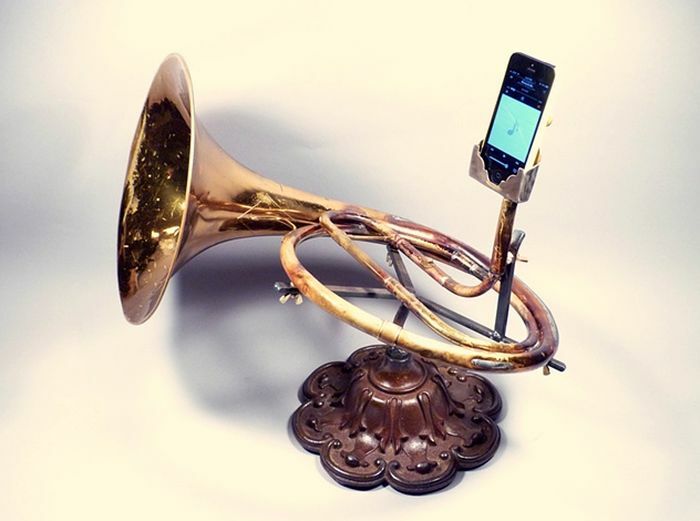 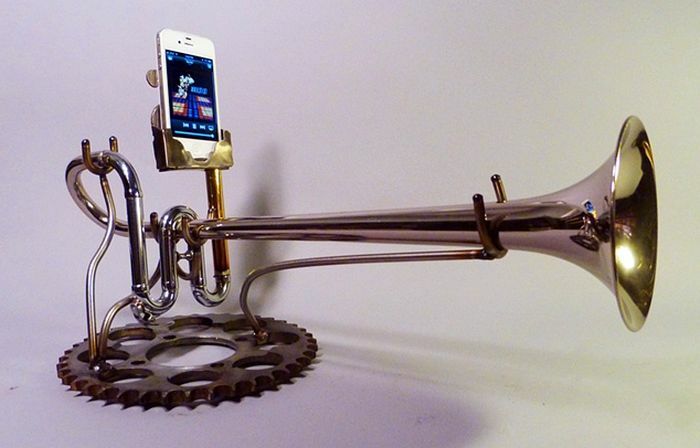 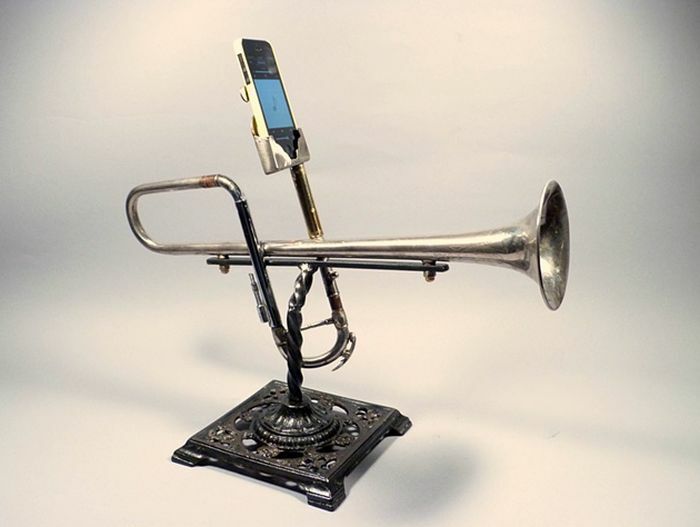 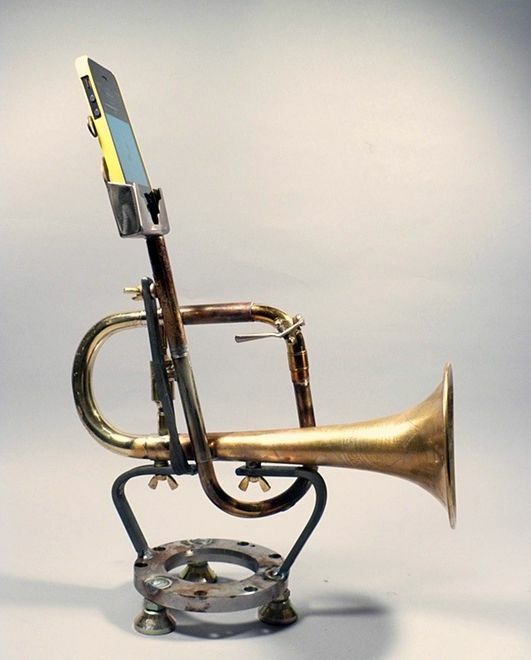 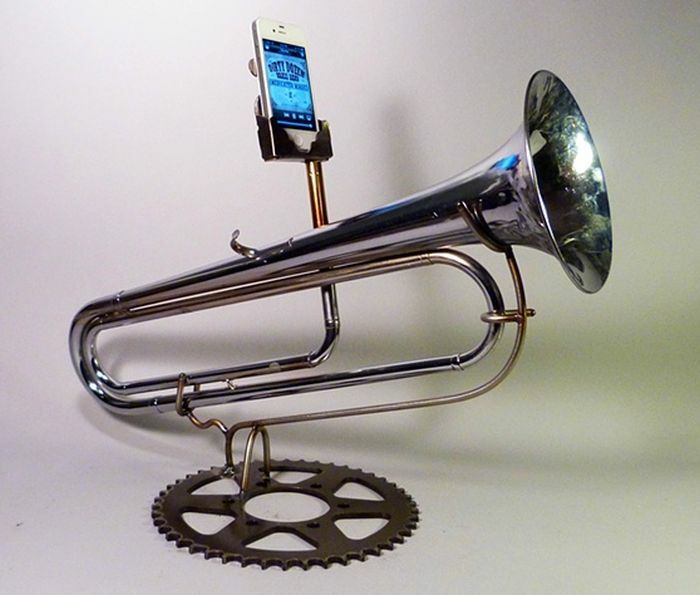 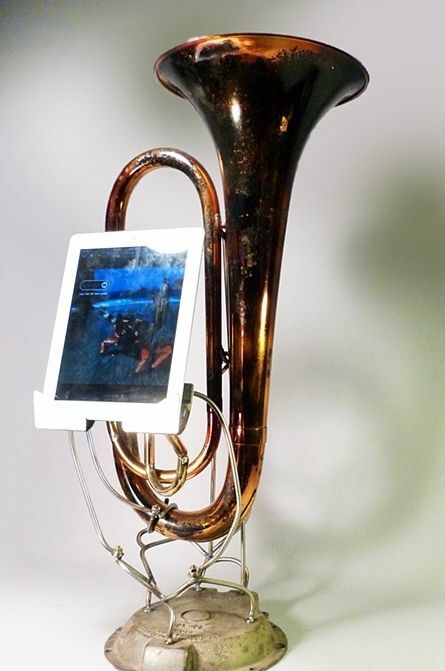 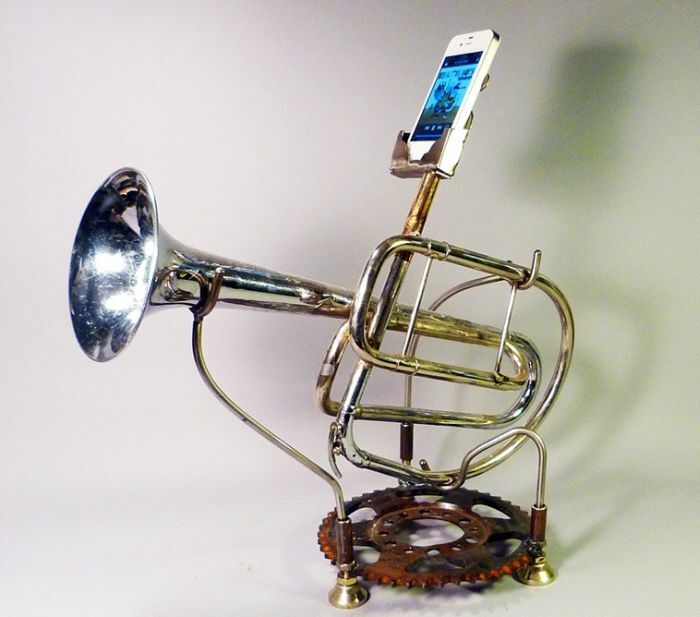 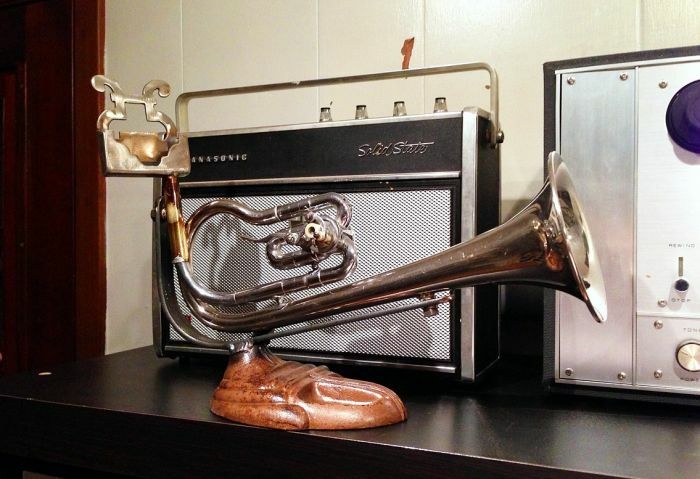 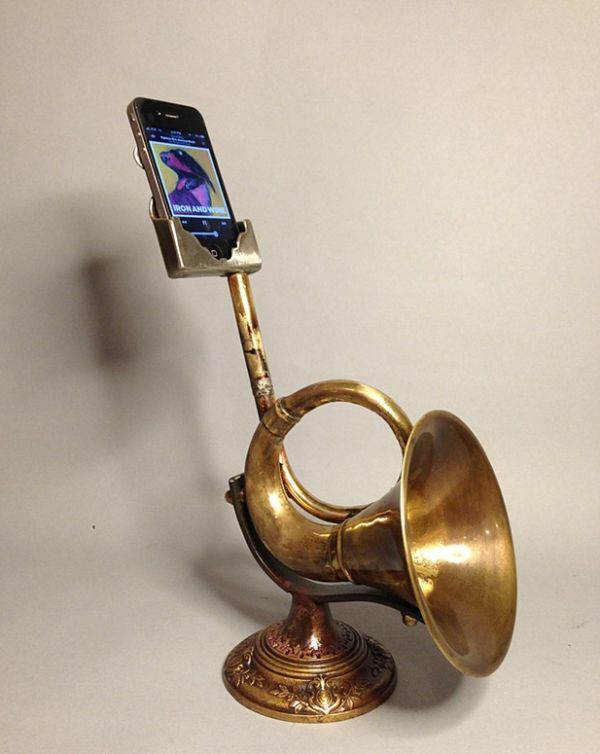 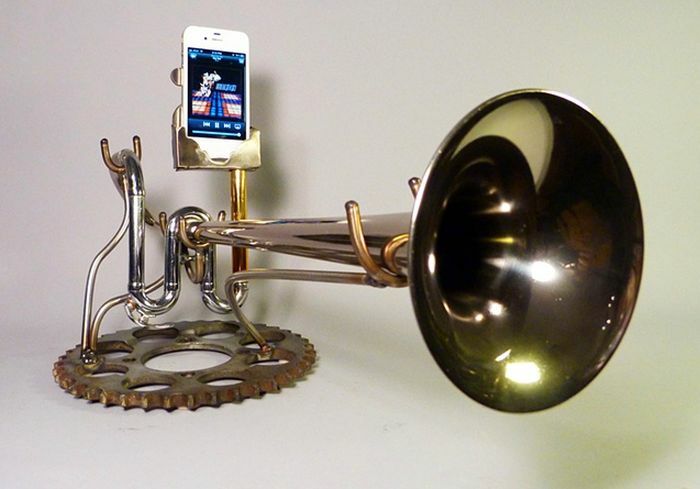 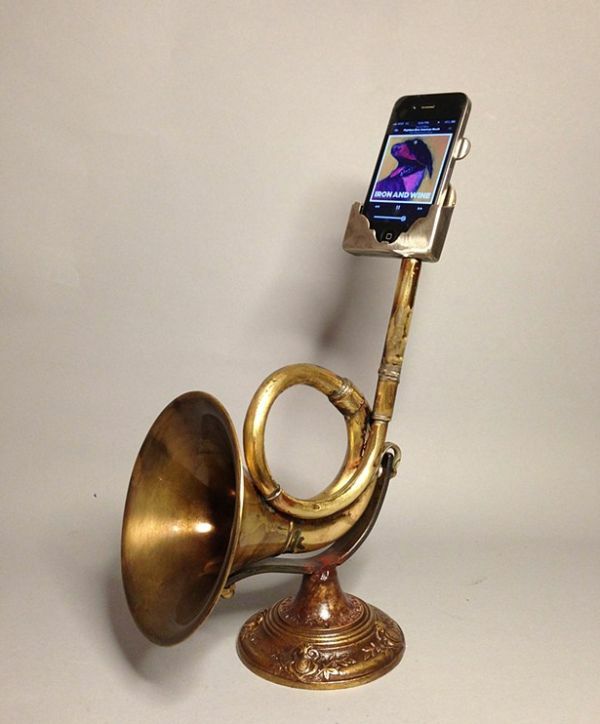 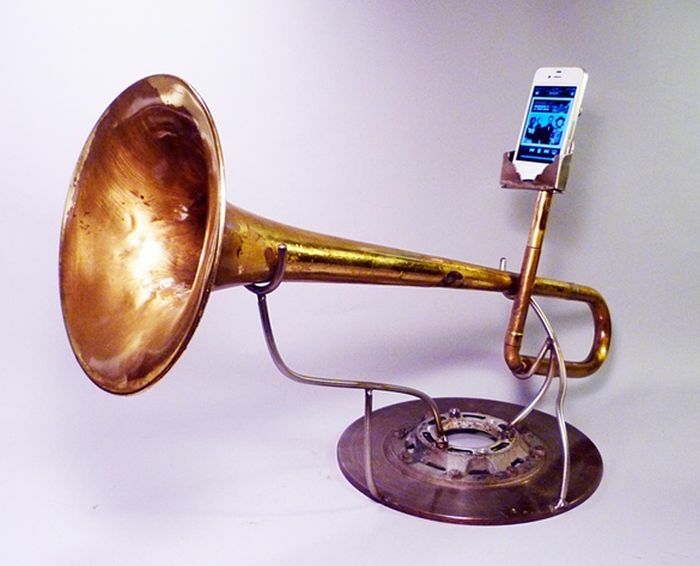 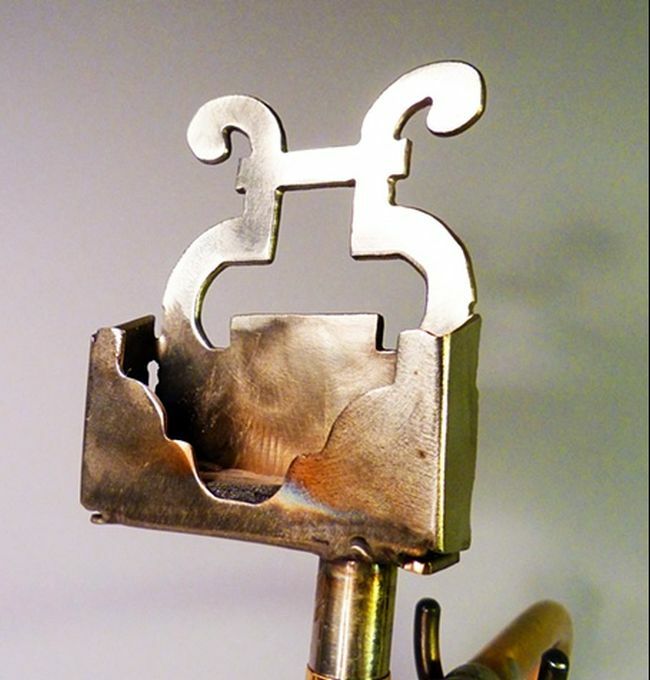 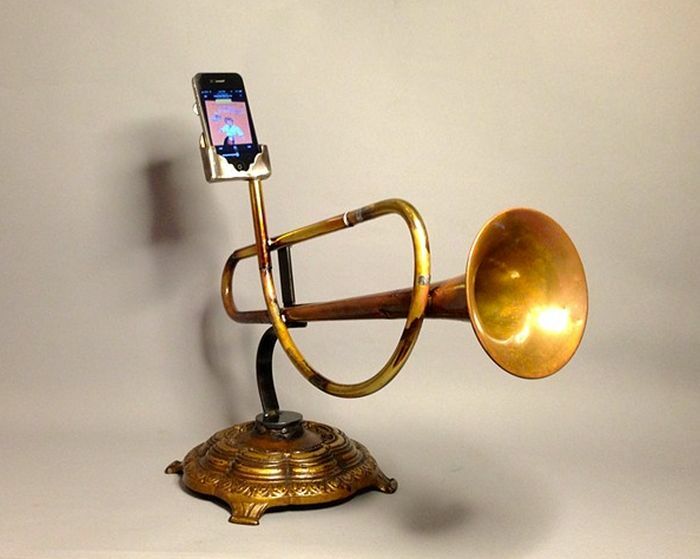 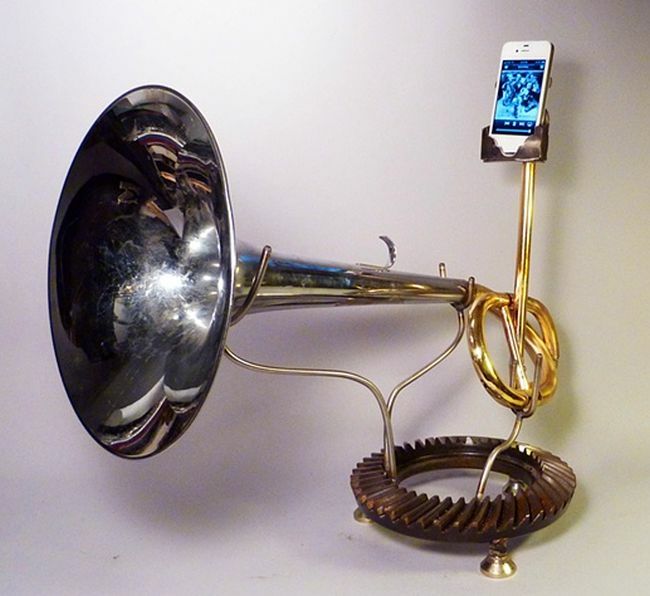 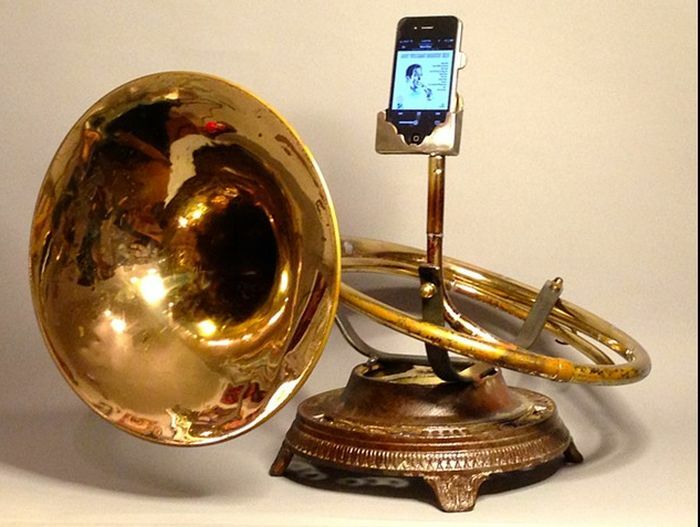 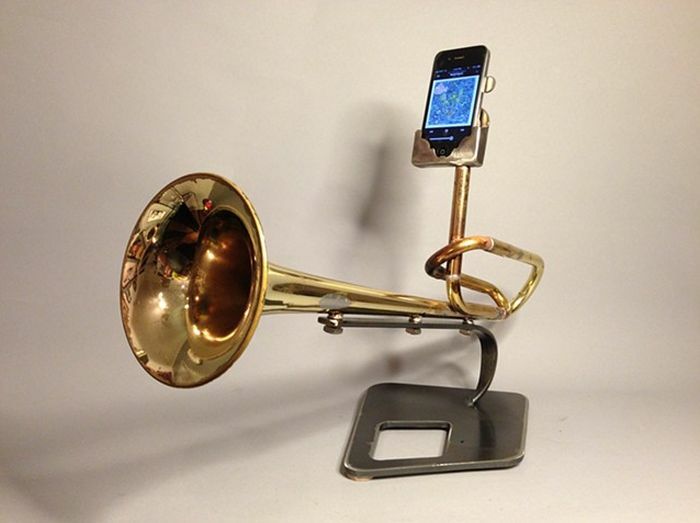 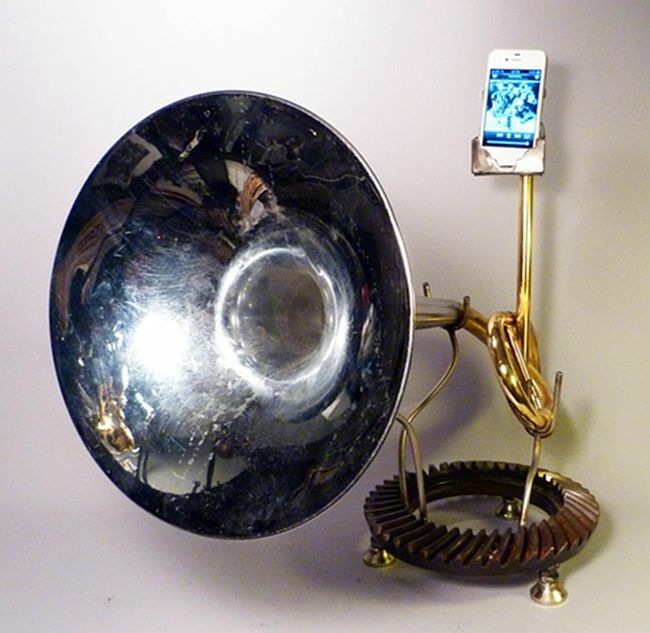 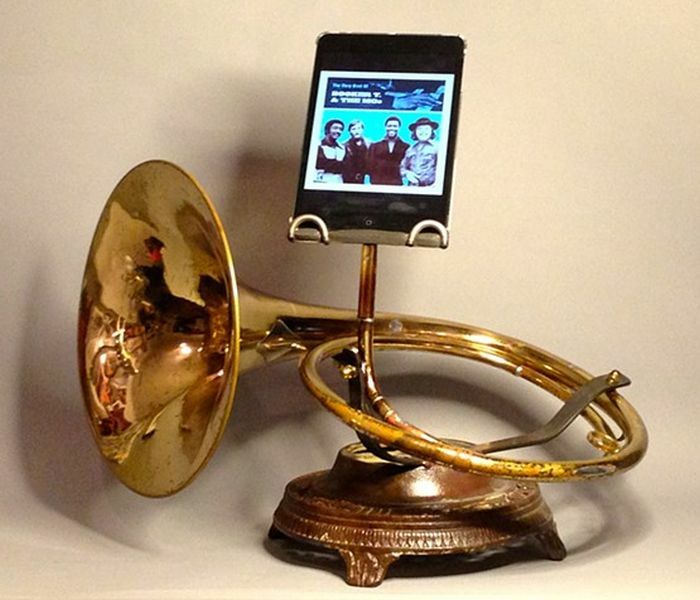 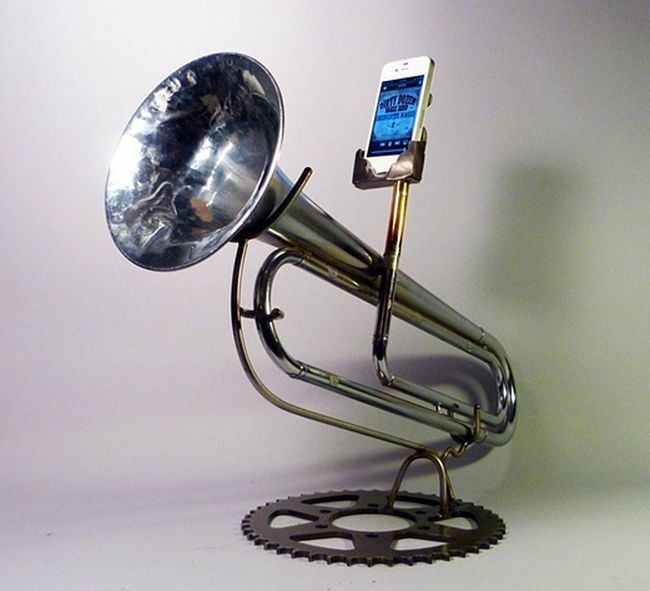 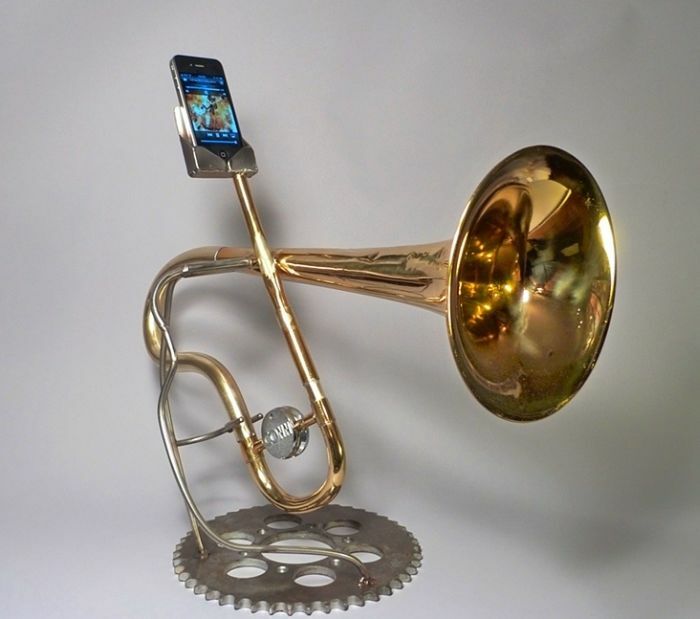 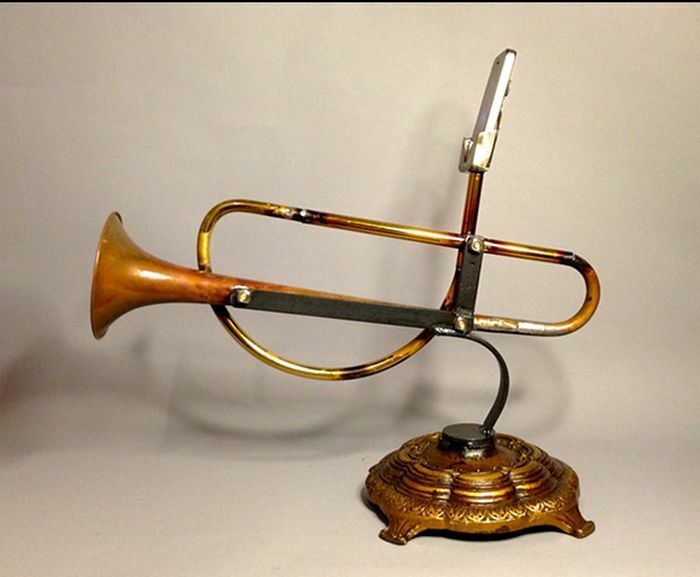 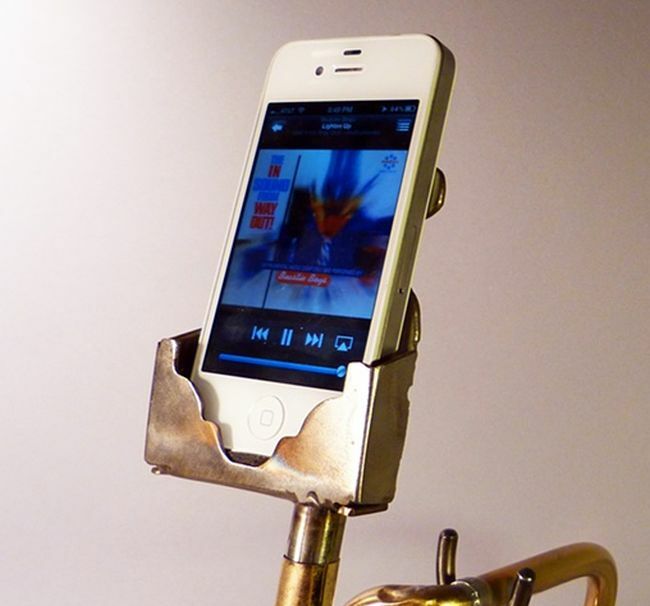 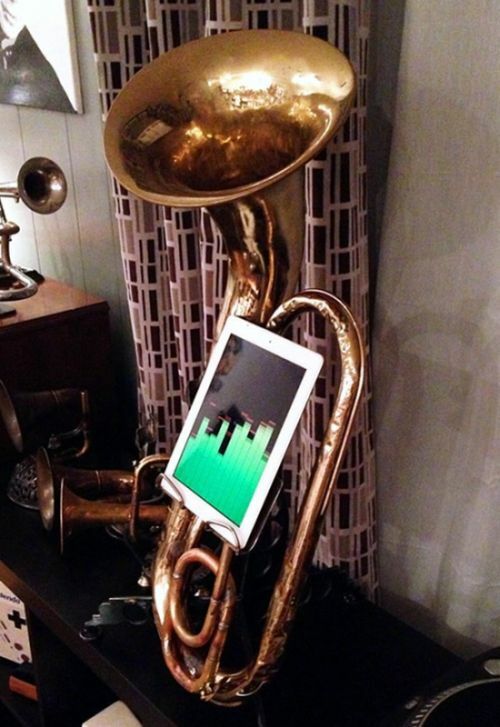 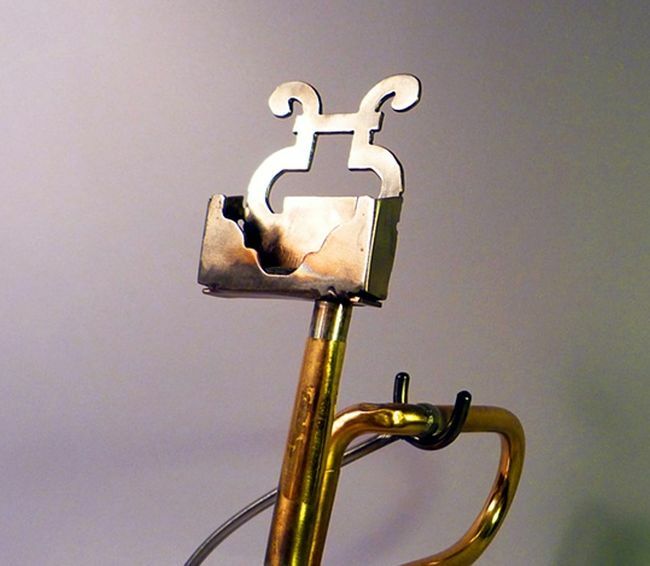 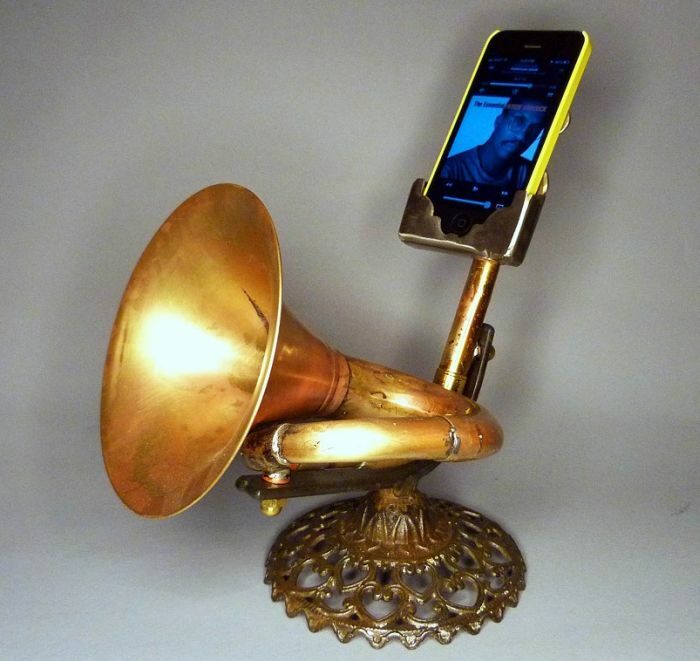 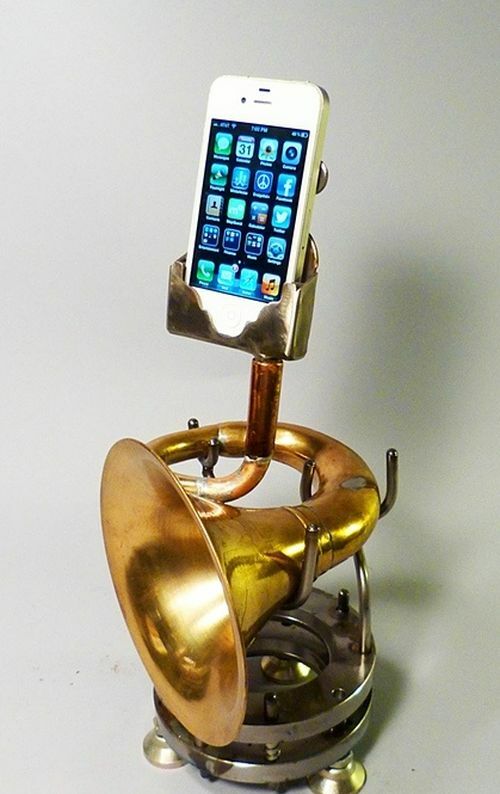 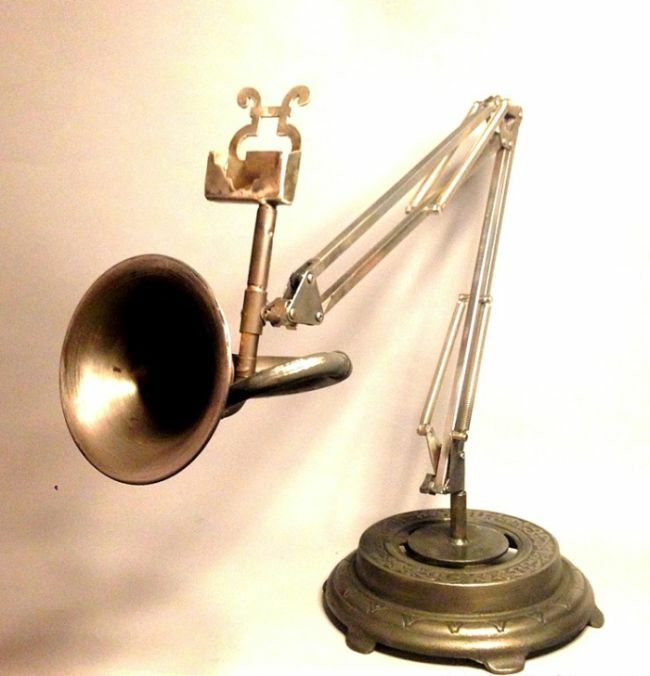 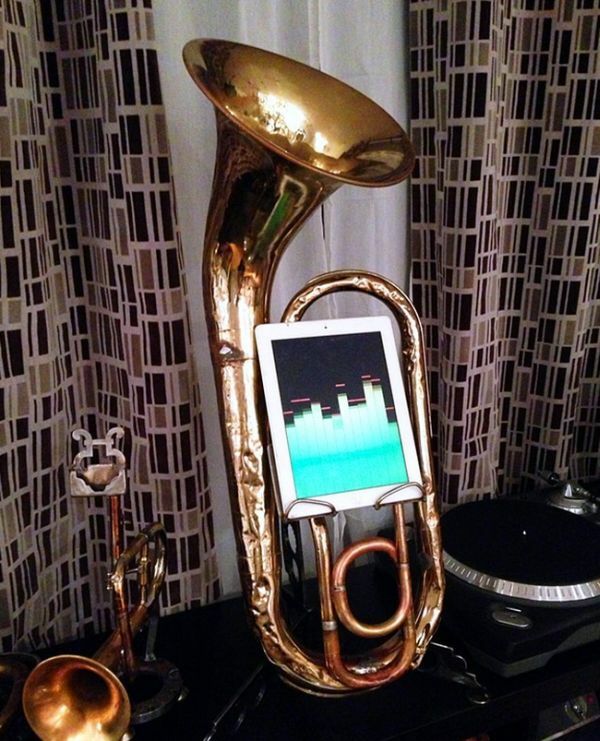 Awesome iPhone amplifiers made from recycled brass instruments. 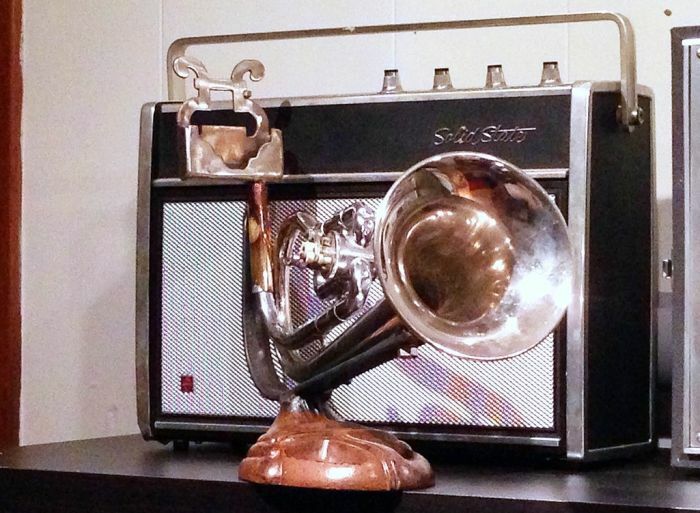 Art doesn't always imitate life. 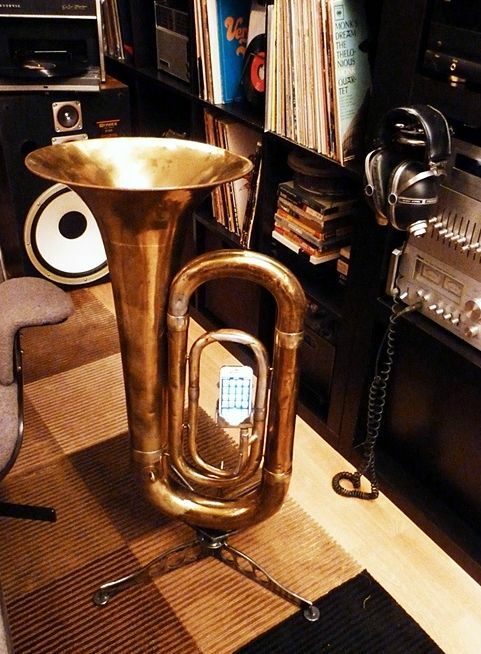 Ipod and iphones are overrated in terms of sound.